BEIJING - China executes around 4,000 people a year, the most in the world but half the number it did before ordering Supreme Court reviews of all death penalty cases in 2007, a U.S. human rights group said Tuesday. Chinese officials revealed the decline in executions during a seminar with United Nations officials and international experts in the eastern city of Hangzhou earlier this month, the San Francisco-based Dui Hua foundation said in a statement. The group said the Chinese officials refused to say how many people were put to death annually but revealed the number fell 50 percent after 2007. 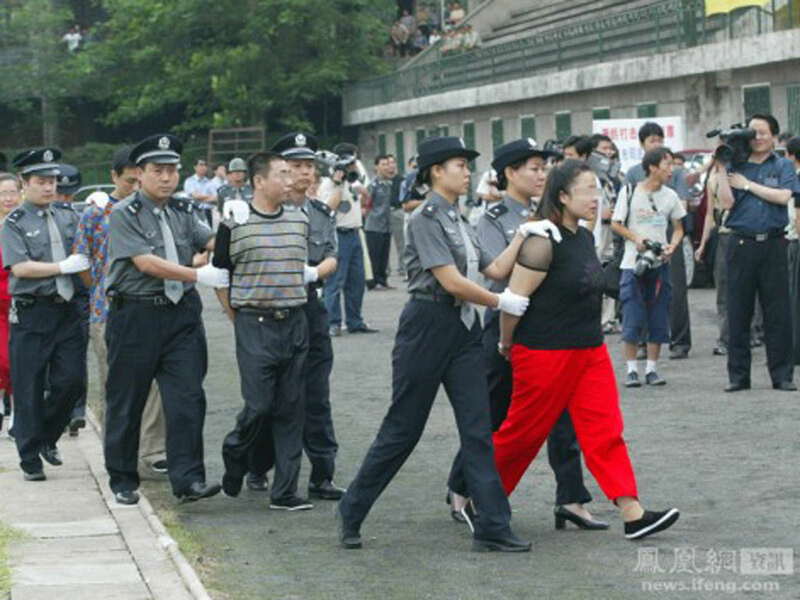 In 2006, state media and Dui Hua estimated there were 8,000 executions a year. The government says it is trying to ensure the death penalty is used less often and for only the most serious criminal cases. "China has made dramatic progress in reducing the number of executions, but the number is still far too high and declining far too slowly," Dui Hui founder John Kamm said. Kamm also urged China to be more open with its execution statistics, saying that transparency would help China achieve its goal of eventually abolishing the death penalty. "When officials and the public know the full extent of the death penalty in China, abolition will be achieved more quickly," he said. Chinese officials also revealed at the seminar that the Supreme Court currently overturns about 10 percent of the death sentences it reviews each year. The China Daily newspaper has reported the Supreme People's Court overturned 15 percent of death sentences handed down in 2007 and 10 percent in 2008.